Now, (almost) 2 weeks after the successful release of "Thor" it's time to show some of the stuff I've been working on 2 years ago! It's been a great time working with a very talented and even nicer group of people. Hope you guys enjoyed the movie as much as I did. 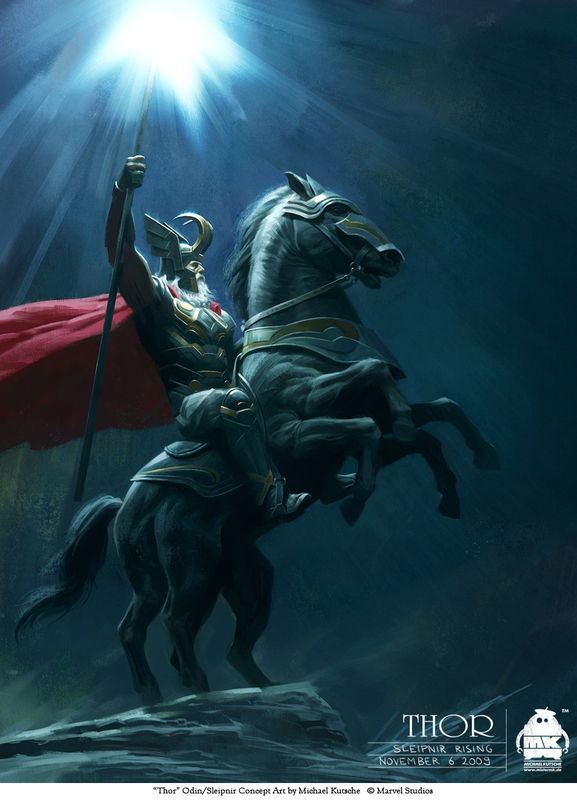 As a start, here's a concept of Odin on Sleipnir, his eight legged horse.